There are a number of apps available to parents, which are used to monitor the whereabouts of their teens and adolescents. Though all the tracking apps appear to be equal, unfortunately that is far from being accurate. 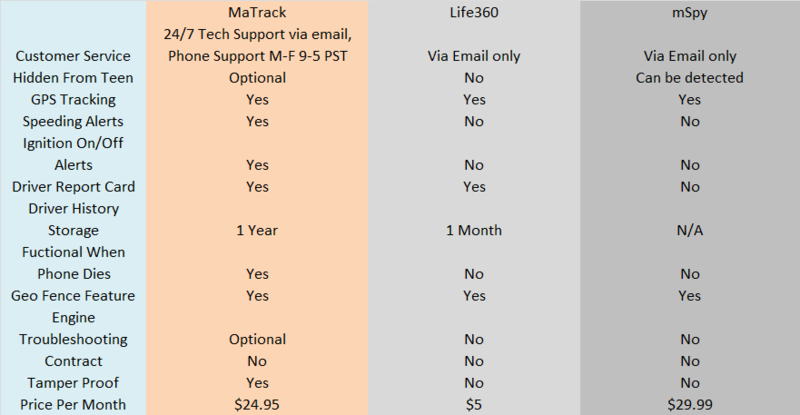 How does MaTrack compare with some of the popular tracking apps you may wonder? Visit our product page today to see why our customers love us!